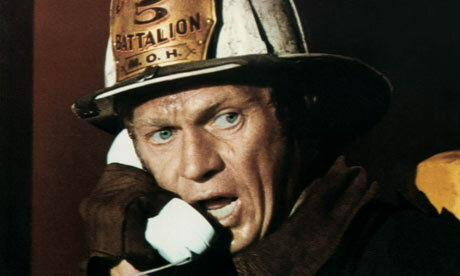 Steve McQueen has been dead now for thirty years, but he has left behind many memorable movie roles. He was one of the best actors of his generation, and his movies are still loved today. Terrence Steven "Steve" McQueen was born on March 24, 1930. He was nicknamed "The King of Cool." His "anti-hero" persona, which he developed at the height of the Vietnam counterculture, made him one of the top box-office draws of the 1960s and 1970s. McQueen received an Academy Award nomination for his role in The Sand Pebbles. His other popular films include The Magnificent Seven, The Great Escape, The Thomas Crown Affair, Bullitt, The Getaway, Papillon, and The Towering Inferno. In 1974, he became the highest-paid movie star in the world. Although McQueen was combative with directors and producers, his popularity put him in high demand and enabled him to command large salaries. He was an avid racer of both motorcycles and cars. While he studied acting, he supported himself partly by competing in weekend motorcycle races and bought his first motorcycle with his winnings. He is recognized for performing many of his own stunts, especially the majority of the stunt driving during the high-speed chase scene in Bullitt. McQueen also designed and patented a bucket seat and transbrake for race cars. By the time of The Getaway, McQueen had become the world's highest paid actor. But after 1974's The Towering Inferno, co-starring with his long-time personal friend Paul Newman and reuniting him with Dunaway, became a tremendous box-office success, McQueen all but disappeared from Hollywood and the public eye, preferring to focus on motorcycle racing and traveling around the country in a motorhome and on one of his vintage Indian motorcycles. He did not return to acting until 1978 with An Enemy of the People playing against type as a heavily bearded, bespectacled 19th Century doctor, in this adaptation of a Henrik Ibsen play. The film was shown briefly in theaters and has never been released on home video. His last films were both loosely based on true stories: Tom Horn, a Western adventure about a former Army scout turned professional gunman who worked for the big cattle ranchers, hunting down rustlers, and who was later hanged for murder in the shooting death of a sheepherder, and then The Hunter, an urban action movie about a modern-day bounty hunter, both released in 1980. 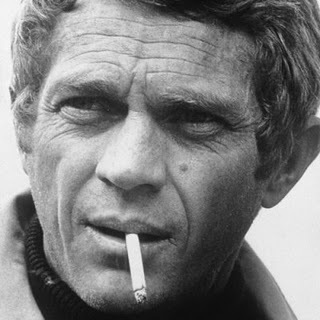 McQueen died on November 7, 1980 at the age of 50 in Ciudad Juárez, Chihuahua, Mexico, following an operation to remove or reduce several metastatic tumors in his neck and abdomen. Shortly before his death, McQueen had given a medical interview in which he blamed his condition on asbestos exposure. While McQueen felt that asbestos used in movie soundstage insulation and race-drivers' protective suits and helmets could have been involved, he believed his illness was a direct result of massive exposure while removing asbestos lagging from pipes aboard a troop ship during his time in the Marines.